South Florida is home to thousands of wedding photographers. Some South Florida photographers are hobbyists and some are professional photographers. Many specialize in a variety of photography and offer wedding photography to make ends meet. Being a professional photographer is a hard living and wedding photography is the one specialty that offers profitability. 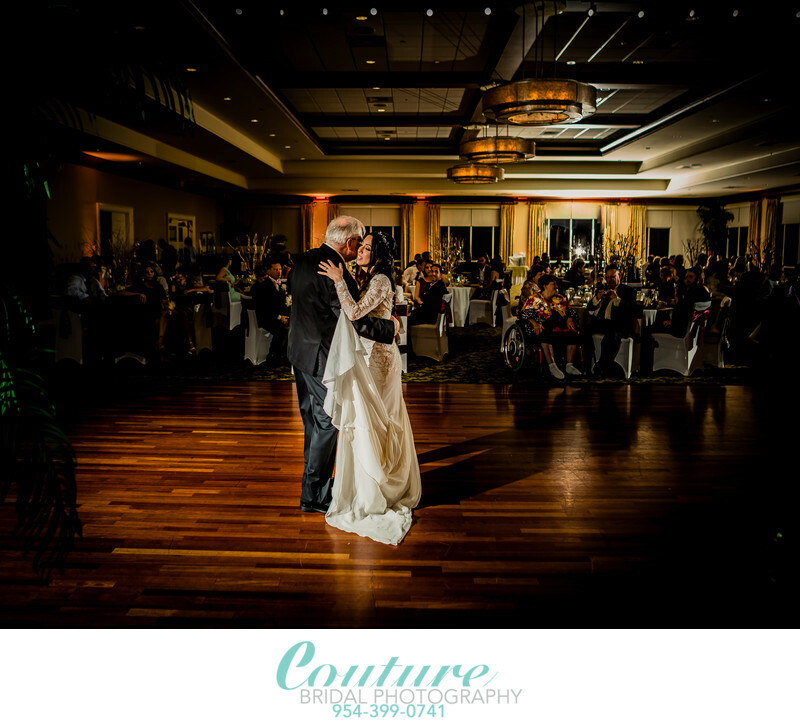 Although many south Florida photographers professional and otherwise will get the job done you might get what you expected from their wedding photography offerings. I am one of the only South Florida wedding photographers that specializes in "Wedding Photography". Although, I am highly skilled and have mastered every aspect and genre of photography, I specialize in telling wedding day love stories. Most couples planning a wedding in South Florida in places like Miami, Fort Lauderdale, Palm Beach and the Florida Keys prefer a wedding photography specialist for the best wedding photography on their wedding day. Many couples choose me, as one of the best South Florida wedding photographers for my authentic, elegant, romantic and timeless wedding photography. If your looking for the best South Florida wedding photography, you have landed on the right website. I offer a unique and artistic approach to wedding photography no one else offers. As one the best rated South Florida wedding photographers, I provide a total wedding photography experience to each and every one of my brides and grooms. Brides and grooms say the nicest things regarding my wedding photography on Wedding Wire, The Knot and on Google. I have also been independently rated among the top 3 South Florida wedding photographers in Fort Lauderdale. I also made the top 20 list for South Florida wedding photographers in Fort Lauderdale as well. I including a pages in this website that highlight some of my South Florida wedding Photography reviews and South Florida wedding photography accomplishments to show you how dedicated I am to giving you the best wedding photography in South Florida. Hiring me as your South Florida wedding photographer is the best choice you can make to document your wedding with the most comprehensive wedding photography coverage in Florida. An important factor when choosing a south Florida wedding photographer is the prices and options they offer. Having a budget will help narrow down which South Florida wedding photographers you can afford. I have included a wedding planning guide you can download to help you put together a wedding planning budget. I offer the best bargain and value in South Florida for wedding photography with the most inclusive wedding photography collections and affordable pricing. I offer the best wedding photography pricing in South Florida compared to other photographers of the same skill level and experience. Among the many wedding related services I offer to South Florida brides and grooms to be, is destination wedding photography. I am known throughout Florida and the United States as the best rounded and skilled wedding photographers in South Florida offering destination wedding photography. Contact me for a free wedding photography consultation if your interested in hiring the best South Florida wedding photographer. In over 8 years as a top rated South Florida wedding photographer, I have photographed weddings at most of South Florida's most popular wedding venues. I love the challenge of photographing weddings in South Florida wedding venues where I haven't had the chance to capture a couples most important day. So call me and lets create a magical wedding day story during your south Florida wedding day.